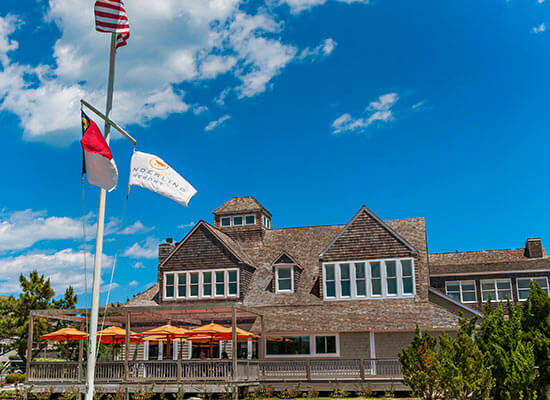 Lifesaving Station Restaurant – Duck, NC: Located in the original—and splendidly restored—Caffey’s Inlet Life Saving Station No. 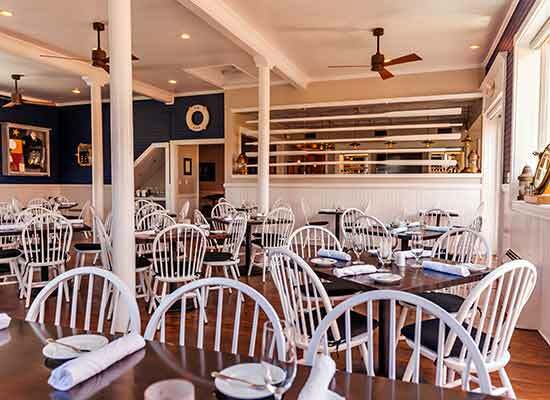 5, the Lifesaving Station is Sanderling’s casual, three-meal-a-day restaurant celebrating southern coastal cuisine and fresh regional products. During 2017 renovations, the No 5 Bar was moved downstairs and more views of the Sound were added on the 2nd level. 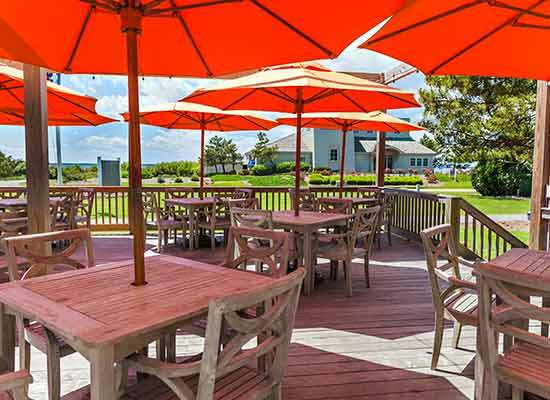 Known for its “best breakfast on the Outer Banks,” and ability to accommodate large parties, the Lifesaving Station is a favorite Duck, N.C. restaurant for both locals and vacationers. 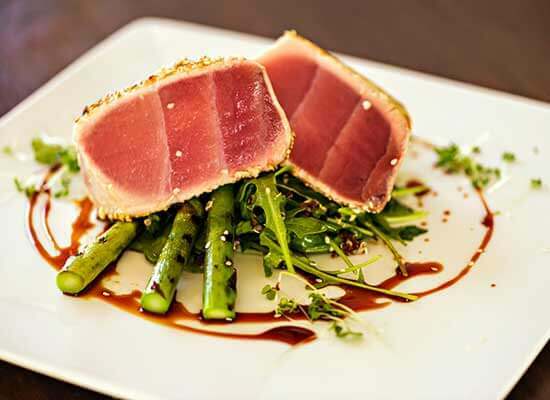 The menu changes seasonally and offers specials featuring the freshest of the day’s catch. 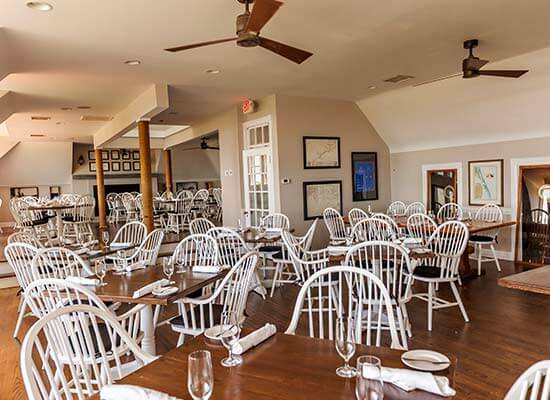 As a signature since the restaurant opened in 1985, the corn and blue crab chowder is served fresh daily. The Lifesaving Station maintains an impressive wine list. 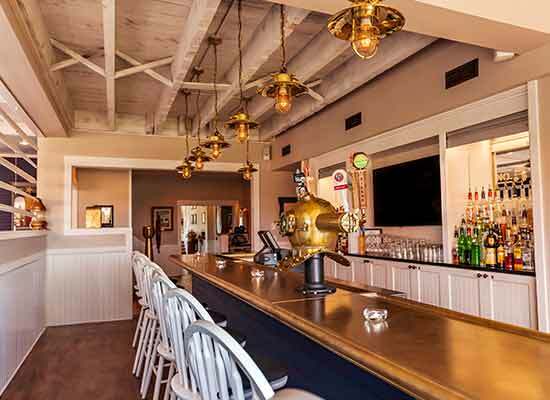 A new tap system at the No 5 Bar offers local brewery options and the signature “Keeper’s Watch” with honey pecan bourbon, Blenheim ginger ale and lemon is the house specialty. A new No 5 menu is available all day.